Eating a healthy foods can lower the risk of diabetes, hypertension, heart disease, and Alzheimer's disease. The National Institutes of Health has recently said there is some evidence that foods, diet, or lifestyle can prevent Alzheimer's disease. Alzheimer's is one of the most feared diseases of everyone. This disease can make a person lose reason and thought. Alzheimer's disease is also common in young child. Actually Alzheimer strongly influenced by genetic factors, but health experts observed that there are other factors that can make someone stricken with Alzheimer's. These factors, among others, nutrition, education, diabetes, mental activity, and physical. Grains, especially wheat, can lead to generation of cells. In addition, wheat is also very good for heart health. Nuts such as almonds, cashews, and walnuts rich in antioxidants and essential fatty acids. Are you a seafood lover? Oysters contain zinc and iron, which makes the mind sharper and stay focused. Blueberries are rich in antioxidants, which may help prevent damage to cells caused by free radicals. The fruit is also able to maintain balance and synchronization of the body's cells with age. Ceri has two properties that are important for the body, ie oxidation and inflammation. This fruit plays a major role in reducing the risk of heart disease and dementia. Eating fish, especially salmon and tuna, may help brain growth. This is because fish is rich in protein and calcium. Tomatoes are rich in lycopene, which may protect the body from cell damage, and reduce the risk of dementia and Alzheimer's. Eggs are rich in vitamin B12, and choline. It helps to build brain cells so as to increase its memory. 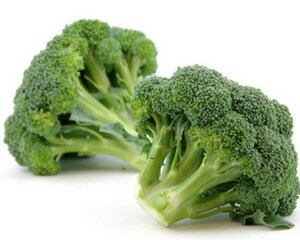 Broccoli is loaded with nutrients, especially vitamin K, which can help improve overall brain power. Lean beef is a source of iron, vitamin B12 and zinc, which helps improve memory and neural networks in the brain. Amino acids contained by yogurt was able to reduce stress. Did you know that stress can accelerate the aging of brain cells? Eating too much chocolate is certainly not good for health. However, dark chocolate is very good for your brain. Chocolate contains flavonols which can help increase blood flow to the brain. Coffee may reduce risk of Alzheimer's and dementia, as rich in caffeine and antioxidants. However, you should not eat excessively because it can be bad for health.